The avatar creator pack has just been finished and will offer you a chance to create your own designer avatar. 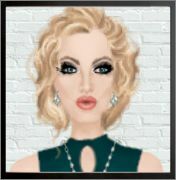 This kit will let you customize your avatar for the site with many different facial features, hairstyles, tops and accessories, backgrounds, and borders to choose from. You can purchase this feature now in the bank for 250 points. 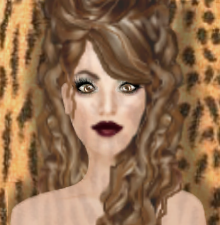 You can then use the design studio create your avatars and even add onto them if you'd like. 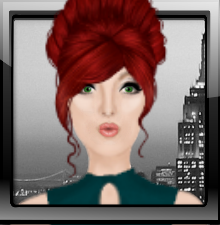 Avatars can be used for your profile picture, boutiques, and so on! 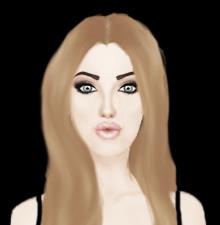 Thank you soap, love all ur avatars as well:) and love urs to Fray the purple eyes are beautiful:) lol I chose the dark blue eyes I think fray made them they are so beautiful and they match the blue cans in my avatars hair lol. I'm buying it. Everyone's avatar looks awesome. I think i'm gonna stick with this avatar for awhile i'm having so much fun making these:) I used Sonjas beautiful wig and Leandra's & Mykelbe & I believes it's Frays or Deserts makeup all combined together and this is the look I got, the plant is made by Mykelbe.